Do you need help buying/selling a house? Do you have a family law issue? Do you need help drafting a Will? Have you been accused of a crime? We are Hunter & Robertson Solicitors, based in Paisley, Scotland. Our specialist lawyers can assist with Conveyancing, Litigation, all aspects of Family Law, (including divorce and separation agreements, prenuptial agreements, cohabitation claims and child access), Criminal Defence and services for older people such as drafting Wills and Power of Attorney documents, and help with winding up a loved one's estate. To make sure the process of dealing with your legal matter is as smooth as possible, whether buying or selling a house or choosing to divorce, it's important to get expert advice and assistance from specialist and experienced solicitors. At Hunter & Robertson, our solicitors take a sympathetic, practical and efficient approach to deal confidently with our clients’ legal issues. To book an appointment today, please call 0141 889 3196 or fill out our online enquiry form. Another law firm in Paisley, Robertson & Ross Limited Solicitors, have ceased trading. The Law Society have appointed a Judicial Factor whose role it is to oversee the completion of ongoing client files. The Judicial Factor has approached us and passed files to us for us then to contact the clients of Robertson & Ross with a view to carrying forward any ongoing work, should you wish Hunter & Robertson to do so. Should you have any questions about the role of the Judicial Factor please contact the Judicial Factor directly on 0131 476 8195. Please download the Judicial Factor Client Claim Form should you wish to seek payment of any sums held by Robertson & Ross on your behalf in their client account. Please download the Client Transfer Mandate Form for transfer of your file and/or Deeds. It is essential that this is completed and signed and returned to us should you wish us progress matters on your behalf. "Having dealt with numerous solicitors through my line of work, working with Steven Millar was a breath of fresh air. He really took the time to explain the process and answer any queries." 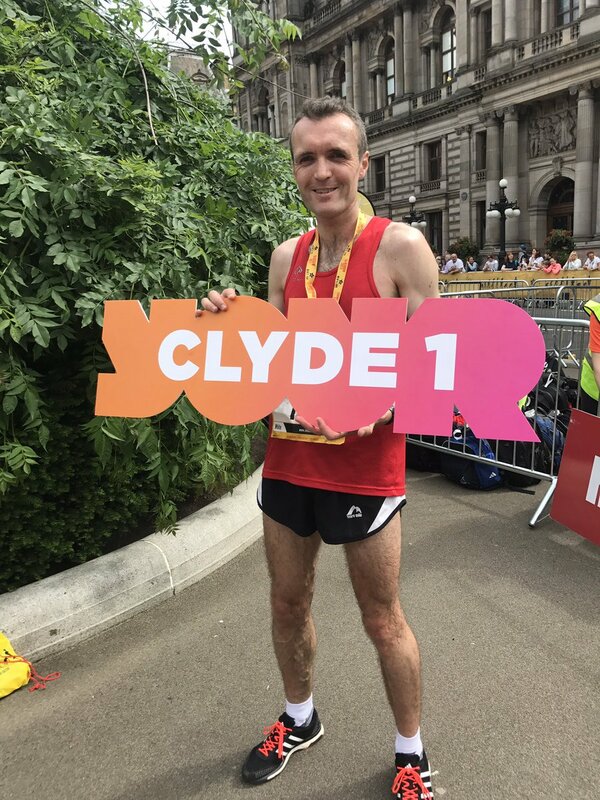 Stuart Gibson our conveyancying/private client solicitor won the Mens Health Glasgow 10K last Sunday. Well done Stuart!